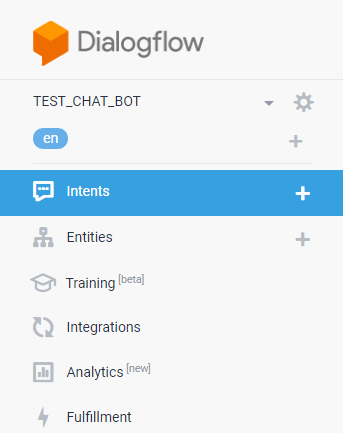 I will use DialogFlow ChatBot for my implementation. 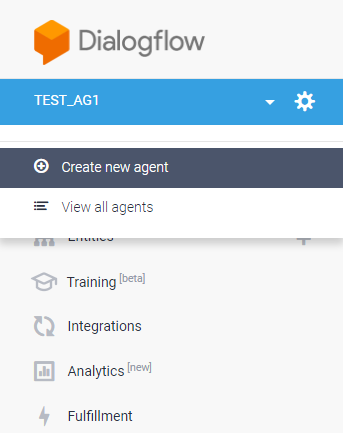 Go to https://dialogflow.com/ Sign up for free ( as a Google product you can use your Google Account to sign in ). ChatBot Framework in general is well documentated you can find a lot of topics talking about this with easy effort. Small talk Intents. These intents are the opener or closer of a conversation. Intents ( or Business Intents ) are the intentions of the end-user, these intentions or intents are conveyed by the user to your bot. Entities are metadata or parametres that compose each intent. 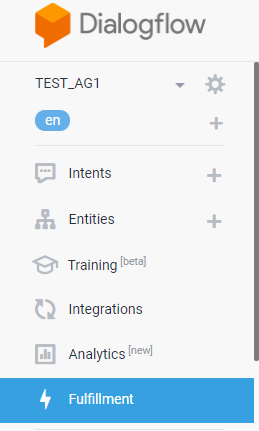 For this scenario i will create two intents GET_AGENTS_LIST and GET_AGENT_ITEM. 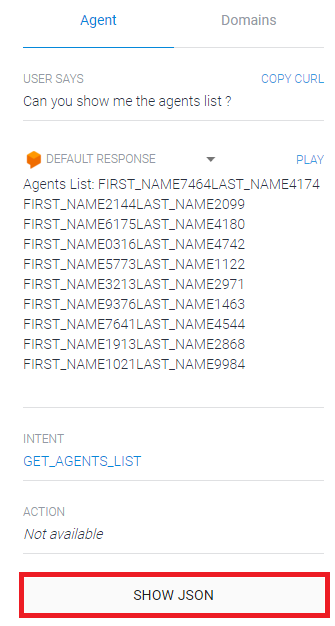 GET_AGENT_ITEM will contain AGENT_ID as an Entity. Small Talk will be expression like Hi/Hello and Bye or Ciao. 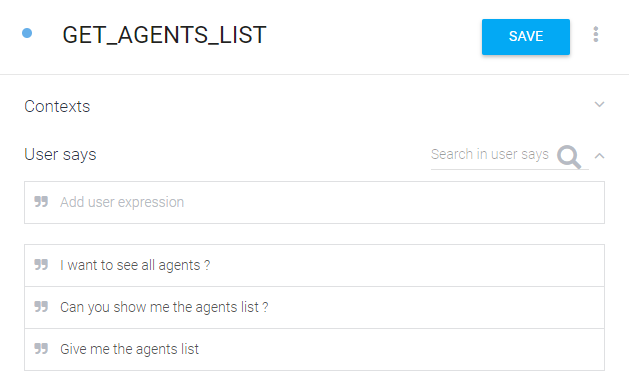 Enter GET_AGENTS_LIST in the field name and add few expressions as shown below. 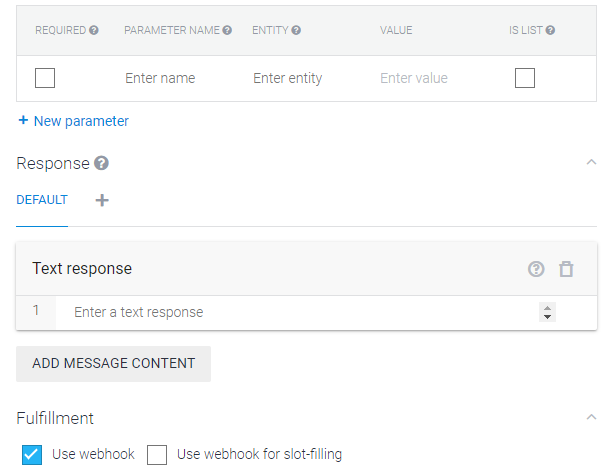 Check Use Webhook checkbox and click SAVE button after. 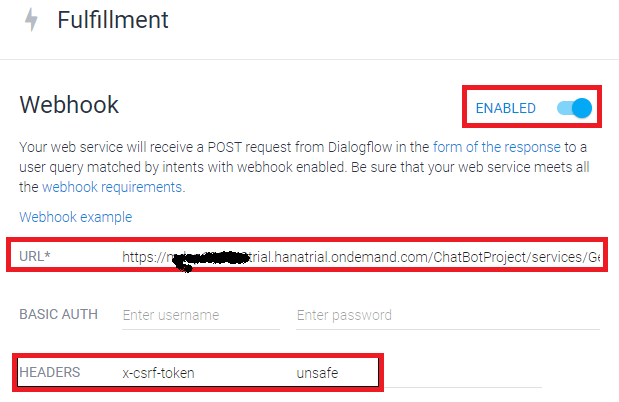 Put the XSJS script url, activate ENABLED and add X-CSRF-TOKEN = unsafe ( other wise you get an this error Webhook call failed. Error: 403 Forbidden ) as header param and click SAVE. The Bot is working well in the next post i will integrate it with faceBook Messenger page.